No Ethiopian leader and a political party have contributed as much for the Ethiopian people as has P.M. Meles Zenawi and EPRDF. That is a fact to which 95% of Ethiopians will attest. To begin with, there had never been �political parties� previously in Ethiopia; and that alone in itself speaks loudly. Meles/EPRDF transformed Ethiopia favorably forever: 1/ Ended the rule of one of the most vicious dictatorships the world had ever seen (DERG); 2/ Drafted, which was ratified, an all inclusive Constitution, which recognizes and guarantees the equality of all Nations and Nationalities with inherent right to govern themselves in their own languages; 3/ Pursuing an economic policy focused on the enhancement of the standard of living of all Ethiopians regardless of their regions; 4/ Fought tooth and nail in the war against disease with great success; 5/ Attained phenomenal success in education throughout all Nations and Nationalities of Ethiopia; 6/ Ethiopia recorded gigantic strides in the agriculture and manufacturing sectors; and is on course to becoming a net exporter nation; 7/ Made great effort to improve tourism which we all know will make Ethiopia a primary destination for visitors; 8/ Thanks to Ethiopia�s immense water resources, it is on track to becoming an exporter of electric power, and Meles/EPRDF are working diligently to that effect; and 9/ Rampant corruption in government institutions has been kept in check; with the creation of an independent entity that is dedicated to oversee/control the culture of corruption in Ethiopia. This is only the tip of the iceberg. The EPRDF government, under the leadership of P.M. Meles Zenawi, has tackled head on, what past governments had conveniently ignored for too many years. To those who claim that Meles is intolerant of his political foes, I say you have to be kidding me! Those who served DERG in various capacities, including Eng. Hailu Shawel, know deep inside that Meles is the most tolerant Ethiopian leader ever. My personal utter disappointment is that a hero, Tamirat Layne, having served ten of his eighteen years sentence, ironically remains in prison; while ex-DERG operatives have been set free. Having been previously in the service of DERG with indignity, the recently pardoned convicts should be counting their blessings for having ducked �???? ???�! The record shows that no convicted felon has ever been executed under the Meles Zenawi administration for opposing the government. On the other hand, DERG (the predecessor of CUD) murdered Ethiopians of all walks of life for every reason, real or imagined. Incarcerations were so common, that it was dubbed as �???�! It was very common back then to assume that anyone who was not incarcerated must be a DERG cadre; which often times was a wrong assumption. 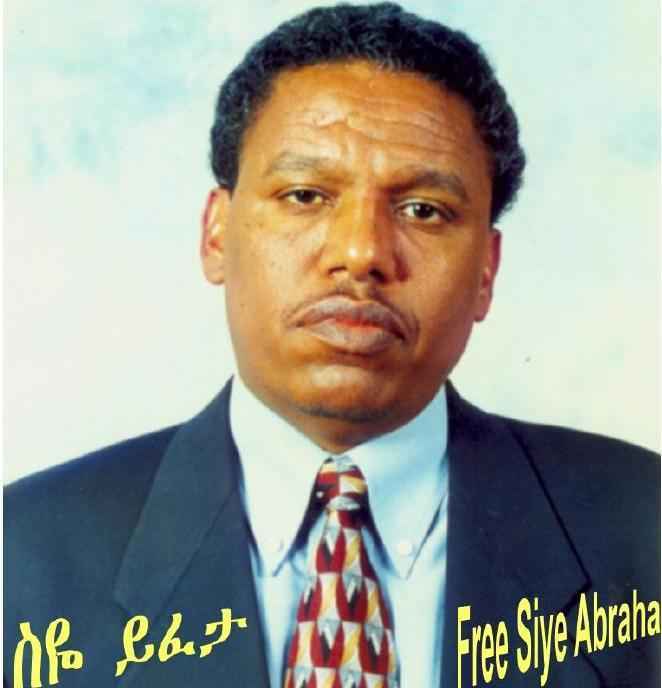 However, many of those who escaped incarceration by DERG were focused on accumulating wealth by playing along with Mengistu�s ruthless regime, through payment of bribe and other means to gain personal favors. Some of DERG accomplices were rewarded high cabinet positions, as was the case with Eng. Hailu Shawel (Minister of Agriculture). Naturally, the self-proclaimed �squeaky clean� (??? ??? ??? ??????) activist for Vocal Diaspora�s CUD, namely Tekola Hagos would rudely differ. By the way, Tecola Hagos is specifically opposed to the well being of the people of Tigray; going as far as accusing Meles/EPRDF for favoritism towards Tigray, citing the construction of Tekeze Dam as an example. Whatever his personal �beef� (???) 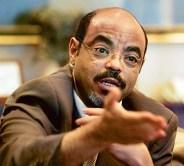 against the people of Tigray and P.M. Meles Zenawi might be, it is a disgraceful one. On the question of war and peace, Ethiopia has always been exemplary in seeking peaceful coexistence with its neighbors, unless it was provoked. The most recent provocations were by Eritrea in 1998; and Somalia�s Union of Islamic Courts (UIC) in 2006. Isaias invaded Ethiopia in 1998 as it has been already determined by The World Court. He ignored Ethiopia�s plea to withdraw his troops from Badme and its environs. P.M. Meles made his case to Ethiopia�s Parliament on the invasion by Eritrea, and subsequently Ethiopia declared war on Eritrea effectively whipping Isaias� army. Isaias begged for a cease-fire, and Meles/Ethiopia obliged. Thus the Algiers Peace Agreement was born, with a provision creating the Temporary Security Zone (TSZ). Eritrea has breached the TSZ; consequently United Nations Mission in Ethiopia and Eritrea (UNMEE) has been rendered ineffective by Eritrea�s restrictions on the �mission�; resulting in the Algiers Peace Agreement as being null and void. 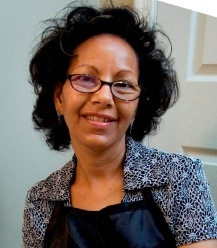 What will happen next depends on Isaias Afwerki�s anticipated foolish adventure. His �Aba Gobye� (??) will be dead on arrival (DOA). In Somalia, the al-Qaeda sponsored Union of Islamic Courts (UIC) was on a mission to undo the internationally recognized Somali Transitional Federal Government (TFG). The UIC openly threatened Ethiopia to annex the Ogaden, thus reviving the old idea of �Greater Somalia�. By helping TFG in asserting its legitimacy in Somalia, Ethiopia also averted al-Qaeda�s deadly influence in the Horn of Africa. P.M. Meles obtained approval from the Ethiopian Parliament to accomplish his mission of protecting Ethiopia from terrorists and their supporters; among which Isaias Afwerki is UIC�s major supplier of arms, including surface to air missiles according to UN report. Here again, Meles/EPRDF honorably defended Ethiopia against al-Qaeda/Isaias conspiracy to cause havoc in our region, for which Africa should be grateful. On the question of wholesale deportations of Ethiopian-Eritreans during the Isaias instigated war, most of Ethiopia�s population was against such action. Meles did regret the deportations later, if it is any consolation. However, horrible things happen during war. Tempers were at their peak during the time; and Meles did not step up to the plate to stop the unbalanced deportations for his own political survival. We have to take into consideration that Isaias did reciprocate in kind. Ethiopians faced the same fate in Eritrea, along with frequent beatings on the streets of Asmara by hooligans. However, two wrongs don�t make a right. The shocking part is that Meles Zenawi is half Eritrean by birth (on his mother�s side), and Isaias Afwerki is 100% Ethiopian by birth. God forgive them both (???? ????). I am cautiously optimistic that Eritrea will reunite with Ethiopia once Isaias is ousted from his imposed power. 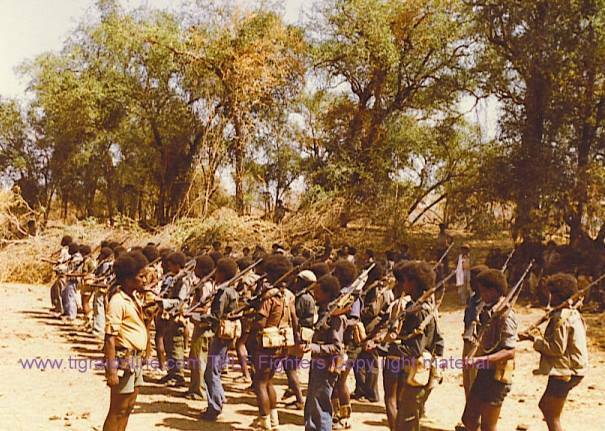 Now to the so called �liberation fronts� who claim to be struggling in the interest of Oromia and Somali States. The people of Oromia State are self-governed by a mandate from the people who elected them in a land slide victory in 2005. The great Oromo people govern themselves using the Oromifa language. The economic development in Oromia has been phenomenal. You have to see it to believe it. By virtue of the size of their population, Oromo are well represented in the Meles/EPRDF Government. In my opinion, OLF ought to join in the struggle of the Oromo people to develop Oromia to its full potential. Under the Ethiopian Constitution, Oromo people may exercise their right to cessation legally; but certainly not at the imposition of OLF. The same goes for Somali State, which has seen its share of chaos for far too long. The Meles/EPRDF Government is trying to develop Ogaden for the benefit of Somali people, and is making headway; in spite of stiff opposition from ONLF, which has become an agent of al-Qaeda and Isaias Afwerki. The Somali people deserve a peaceful atmosphere to realize their full potential without the interference from foreign agents who are hell bent to bring death and destruction to the Somali State. Meles Zenawi and EPRDF are determined to stop ONLF/al-Qaeda/Isaias from succeeding, and will do whatever necessary to stop those terrorists dead on their tracks. The Meles/EPRDF administration has registered tremendous improvements to Ethiopian towns and cities, both in infrastructure and services. Telephone and access to electricity is more extensive than ever before. City mayors and other city administrators are better qualified because they are appointed on the basis of their competence. All over Ethiopia, cities are being modernized through the dedication of �local municipalities�. The brain child of Emperor Menelik II, Addis Abeba, my home town, has come a long way from a shanty town to the present modern Metropolis that it has become under Meles/EPRDF. The interim Addis Abeba Administration is doing good work for the residents after the desertion of the elected CUD Mayor (Dr. Berhanu Nega); who showed more loyalty to the ex-DERG Minister of Agriculture (Eng. Hailu Shawel), than to the residents of Addis Abeba who elected him. Some mistakes notwithstanding, P.M. Meles Zenawi and EPRDF will go down in Ethiopian history as pioneers of Democracy and Good Governance. The road will be long and difficult, but it has been laid by P.M. Meles and EPRDF for the Ethiopian people to travel towards equitable prosperity in the new Millennium. Ethiopia will never again be seen as a nation of starving people like the unintended characterization by Bob Geldof (bless his heart) and �Live Aid� on July 13, 1985. However, the blame should be directed at Emperor Haile Sellassie in 1974 and Col. Mengistu Hailemariam in 1984. Ironically, DERG had ascended to power for blaming the late Emperor for the events of 1974. Judging from P.M. Meles Zenawi�s response to natural calamities such as floods and drought up to this point, it is highly unlikely that the events of 1974 and 1984 will ever be repeated. However, natural disasters occur worldwide all of the time. Meles/EPRDF and the Ethiopian people are working very hard as a team, to put the necessary infrastructure to minimize the effects of floods; and increasing agricultural productivity in areas which are prone to drought, by introducing irrigation and new suitable cash crops. Ethiopian farmers are slowly but surely, becoming the new Ethiopian middle-class. 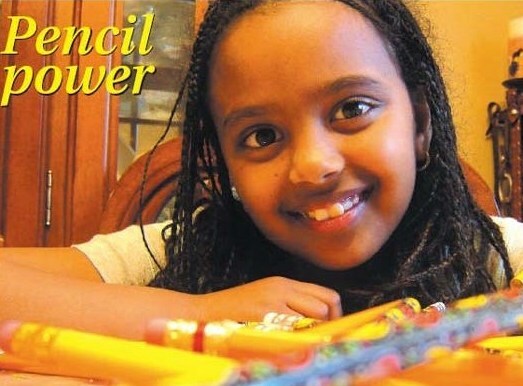 Tecola Hagos� �cute� observation of the unprecedented positive development in Ethiopia as �cosmetic� is very revealing. His holier than though babbling and condescending views on Professor Ephraim Isaac makes me nauseated (???????). This character even describes our Foreign Minister as �barely literate�. This intellectually bankrupt guy�s �Ph.D.� isn�t worth the paper it is printed on, in my opinion. My disrespect for this man is documented: (Tecola Hagos: Dieing for a Little Attention). Ethiopia remains one of the most beautiful nations on the face of the Earth; and the Ethiopian people are determined more than ever before, to keep it that way. To quote Reverend Jesse Jackson: �keep hope alive�. ????? ???? ???? ?? ????????? I wish all Ethiopians and Friends of Ethiopia Happy and Prosperous New Millennium! Click here to read this article in PDF format where you can see the words written in Geez. SOME ONE HAS TO SAY IT Long live Tigrai!!! Border Demarcation Priority: People or Land? Axumite Reunion /1st Anniversary in Washington DC June 29-July 01, 2007 Personal Overview"
Anna Gomes "the Political Prostitute"